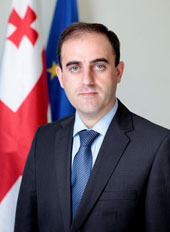 The UNM are accusing new Mayor of Tbilisi Davit Narmania, Deputy Mayor Aleksandre Margishvili and the head of the administration Davit Chakhava, in suppressing the employees of the Mayor’s Office. Minority members of the City Hall Sevdia Ugrekhelidze and Irakli Abesadze stated that after approval of the new heads, old staff members are being forced to quit their current positions. “The forms of pressure vary, and consist of hints, requests and sometimes even threats. They are telling employees that they need their posts and are demanding a job description of the last three months of work. People working on economic issues are especially threatened,” stated Ugrekhelidze. “In the near future, maybe even by September, tens of statements will be written down with regard to retirement. All the statements will be made through forcible manner, as no one wishes to be unemployed,” said Abesadze. According to the statistics of the Human Recourse Department, in total, 13 employees voluntarily quit their posts since the new administration has taken office. There are 1,300 employees at the Tbilisi Mayor’s Office. Deputy Mayor Nina Khatiskatsi, who was also addressed by the UNM over the case, stressed that the Human Resource Department of the Mayor’s Office has failed to fulfill its duties appropriately. “One of the 13 employees who have left their position was the head of the HR department. There is no single description of work, neither remark nor praise, in the personal data of hundreds of people working at the Mayor’s Office. If someone feels discomfort, he can leave… it is up to them. We are not firing any professionals,” Khatiskatsi said. The ombudsmen’s office has also expressed interest in the issue. According to the Advisor of the Legal Affairs of the Ombudsman’s Office, Maia Liparteliani, the office has already launched activities on the statement made by the UNM. “We have already asked for documents regarding all the regions. After receiving all the required materials, we will study them and the Ombudsman will presumably make a statement concerning the outcome,” Liparteliani informed.